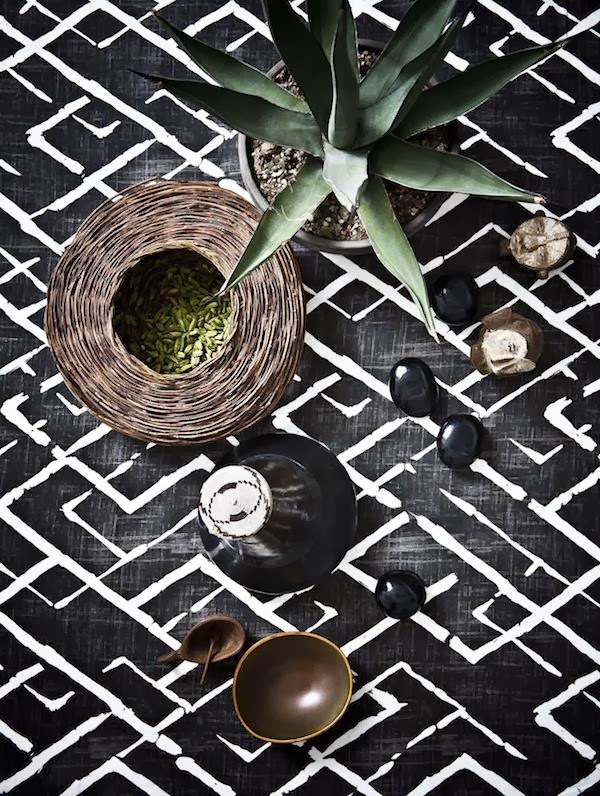 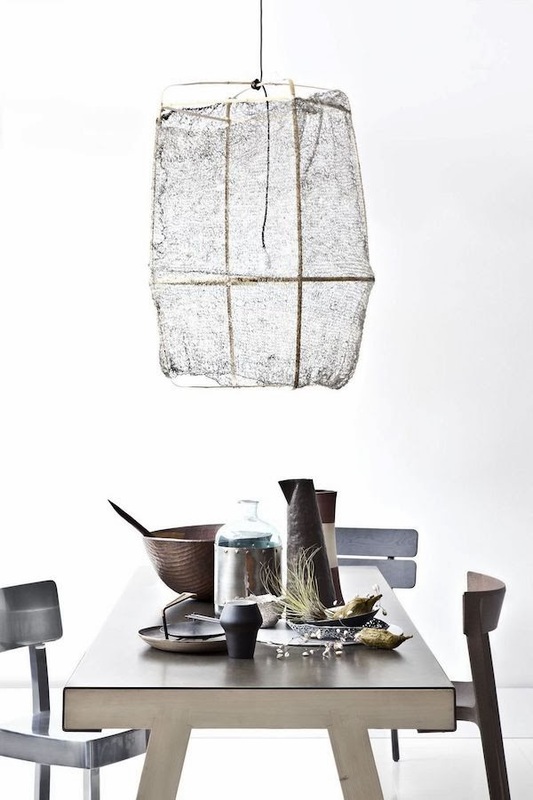 Loving these pictures for Elle Decoration UK and the Black and White, African vibe the stylist added to them.... 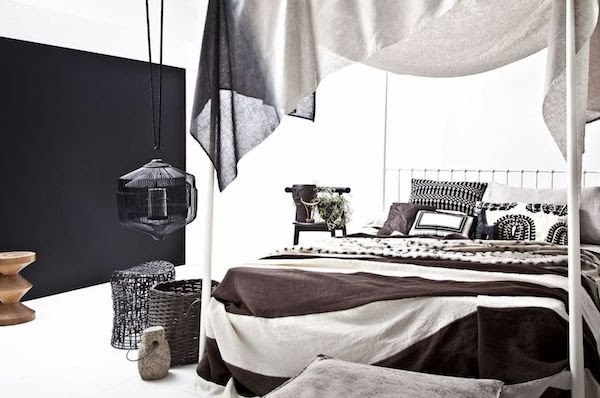 I would not use dark brown and black together in my own home but I do love the Etnic feeling and moody colors. 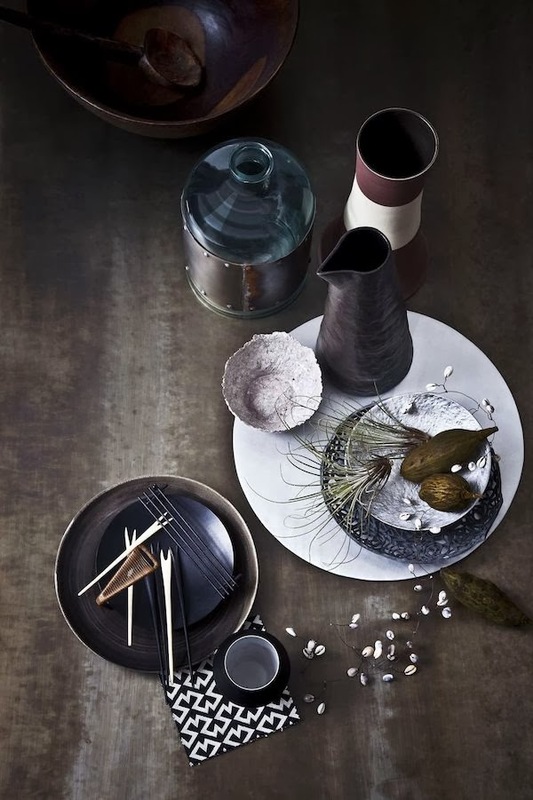 Do you like this combination of colors?